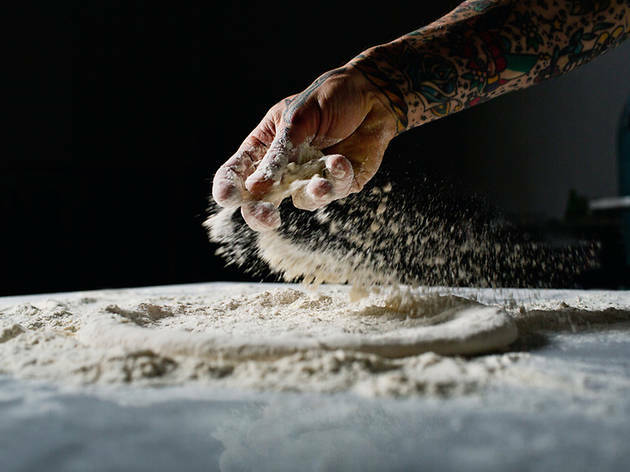 There are quality pizzas all over the city, but when it comes to the most consistent pizza, you can’t beat Una Pizza Napoletana—because this level of consistency is what happens when the same person makes the dough and fires the pizzas every day. Anthony Mangieri keeps things simple: just five pizzas, all variations on tomato and cheese, and Saturdays feature a big departure with the Appollonia pie, made with salami and eggs. 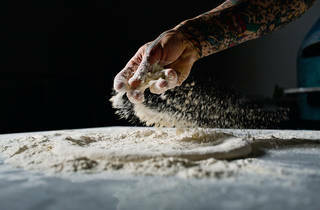 Ingredients are tops, from the San Marzano tomatoes to the flour he uses. The pizzas are molto Neapolitan, so look for an elastic and leopard-spotted crust from the blazing Acunto oven, a style that demands a fork and knife. The menu is very simple, featuring just pizzas, wine, Italian beer and espresso. When the day’s batch of dough is gone, the shop closes, so don’t come by too late.